Natura Bisse was featured on Vanity Fair Online. Natura Bisse was featured on Celebuzz. 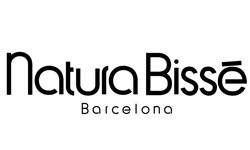 Natura Bisse was born on June 7, 1979, entering the professional cosmetics market with five creams that targeted various skin needs. Its founder, Ricardo Fisas Mulleras, decided to dive into this thrilling business adventure after seeing how hydrolyzed elastin and collagen proteins considerably improved skin's texture. He established his company on the foundational pillars of professionalism, effort, commitment, the ability to overcome and social responsibility. Natura Bisse launched its first five products based on natural free form amino acid technology. Those first creams included ESSENTIAL SHOCK CREAM C+E (with natural free form collagen and elastin amino acids) that have considerable power to refirm skin. The resounding success of this exceptional product gave rise to the creation of a full treatment line that included, in addition, antioxidant vitamins and isoflavones (plant-based phytoestrogens) capable of compensating for hormone deficiencies and refirming even the most demanding mature skin. This lip booster feels nice when applied and makes my lips feel so soft. I really like this product and would recommend it to anyone thinking about purchasing it, but I really wish it wasn't so pricey. I love this eye cream, lightweight cream. I got a sample from LovelySkin, thank you! Used it. It’s expensive but worth it! I will order it again. I love this product. 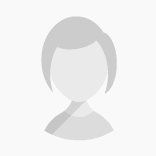 It is thick and moisturizing and does a great job plumping the skin and reducing the appearance of wrinkles.